August 16, 2016 19:00 ET | Source: HP Inc. 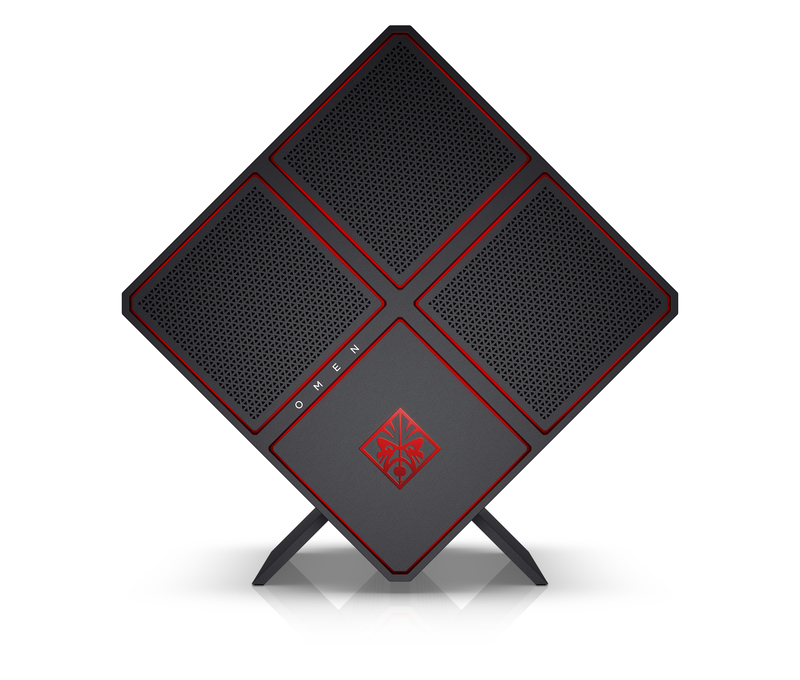 The new OMEN X Desktop by HP. 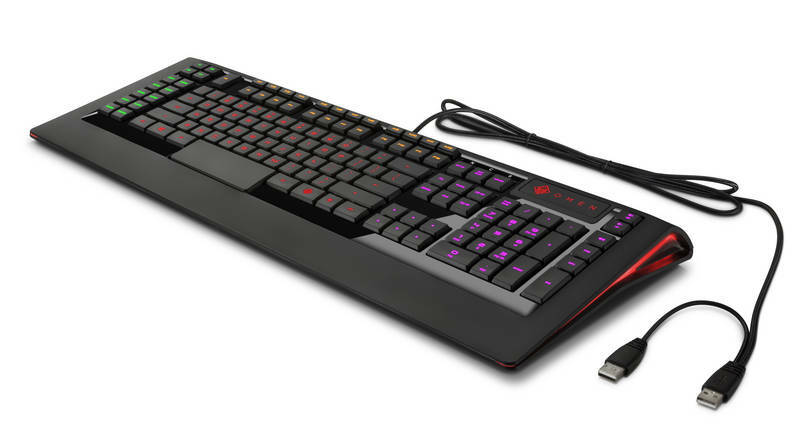 HP collaborated with SteelSeries to introduce a new line of accessories including this OMEN Keyboard with SteelSeries. HP Inc. today launched a new family of gaming products designed specifically for those who demand the ultimate, immersive gaming experience. HP's new high-end gaming products -- the OMEN X Desktop, OMEN 17 Laptop, OMEN X Curved Display and OMEN with SteelSeries accessories -- are engineered to deliver aggressive performance and the flexibility to customize every detail to intensify the thrill of each competition. "The OMEN X Desktop was built for serious gamers who need fierce performance out-of-the-box in a fully customizable chassis -- something not typically available from traditional PC manufacturers," said Kevin Frost, HP vice president and general manager, Consumer Personal Systems. "HP's engineers combined a unique design that maximizes thermal management with support for industry standard components so that the true enthusiast can always be up to date with the latest hardware to maintain peak performance with a customized rig." The OMEN X offerings are an extension of HP's unified gaming portfolio announced in May to maximize gaming performance per dollar. The OMEN X brand focuses on overbuilt and over-engineered products meant to deliver bold innovation for gaming customers. The OMEN X features the latest graphics technology up to dual NVIDIA GeForce GTX 1080 and up to dual AMD Radeon™ R9 Fury X to elevate the performance of any game with stunning visuals. The 6th generation Intel® Core™ i5/i7 processor1 with overclocking capability2 paired with a VR-ready GPU will enable flawless Virtual Reality (VR) and immersive 4K experiences for even the most demanding AAA games. HP engineered superior thermal management allowing customers to stay cool under pressure and get the highest possible performance and full potential of the hardware. This revolutionary thermal management includes a tri-chamber design to separate components and optimize thermals with dedicated cooling in each chamber. The OMEN X Desktop also includes support for up to three 120mm liquid cooling radiators with top mounted exhaust vents and a stand that lifts the case off the ground to help pull cool air in, allowing for maximum ventilation. The ability to build a PC from the ground up is crucial for true enthusiast gamers and one of the most significant differentiators of the OMEN X Desktop. Builders and modders can purchase an empty OMEN X chassis as a standalone option for a completely immersive do-it-yourself (DIY) PC experience. The standalone chassis provides the same thermal benefits of the tri-chamber design and industry standards, making a custom build as seamless as end-users expect. To help guarantee every high-end PC gamer's needs are met with the OMEN X Desktop, HP is collaborating with Maingear to build customized PCs for the ultra-enthusiast. Maingear delivers exceptional build quality, and together with HP, gamers can design the ultimate custom OMEN X build. The Maingear OMEN X Desktop will be available to customers in early 2017 and pricing will vary as a function of the customer's imagination and wallet. The latest 17.3 diagonal OMEN Laptop is designed from top-to-bottom with the performance gamer in mind. It's now one of the highest performing gaming laptops on the market with the inclusion of the latest NVIDIA® GeForce® GTX graphics, and one of the most portable measuring just 32.9 mm thin and weighing seven pounds3. Display quality affects the overall gaming experience and to round out the OMEN ecosystem, HP is introducing the OMEN X Curved Display, which adds a new level of realism and immersion for end-users. The curved display is the first from HP to offer NVIDIA® G-Sync™ Technology, integrating the latest technologies and more choices for customers seeking wide viewing angles and a smooth gaming experience. To complement and enhance users' experience with the new OMEN line-up, HP is collaborating with SteelSeries to introduce a line of accessories designed to heighten gameplay and provide the utmost competitive advantage. OMEN Headset with SteelSeries features lightweight suspension construction to evenly spread the weight over the entire band, allowing gamers to play longer, more comfortably. OMEN Keyboard with SteelSeries enables personalization with over 16.8 million colors to create unique color schemes and allow for color changes in response to gameplay action. OMEN Mouse with SteelSeries includes features for unmatched performance including customization like RGB illumination, 6 fully programmable buttons for quicker action, and zero hardware acceleration for 1:1 tracking and precise movements. OMEN Mouse Pad with SteelSeries provides a high quality; non-slip rubber base and the precision professionals rely on with a durable smooth, surface. The OMEN platform software is pre-installed on OMEN PCs and is offered for both the OMEN keyboard and OMEN mouse letting gamers easily take advantage of its many features by offering cross platform support, and features a cloud syncing system to make sure customers always have their favorite settings. HP also announced it will host a live tournament at the official TwitchCon After Party on October 1, featuring the dynamic and wildly popular online game, "Heroes of the Storm" by Blizzard. The HP "Heroes of the Storm" OMEN Challenge will span across 13,000 square feet and feature four teams of five gamers playing Blizzard's Heroes of the Storm while in an enclosed gaming chamber for a chance to win the U.S. HP OMEN Challenge Championship. The participants will get the extreme performance benefits of OMEN X Desktops as the enclosures test gamer's physical agility and skill by introducing various elements into each chamber pod such as wind blasts, cold environments, and more. The HP "Heroes of the Storm" OMEN Challenge will be reserved for 5,000 spectators attending the TwitchCon After party. Watch the HP "Heroes of the Storm" OMEN Challenge live on Twitch on here. (1) Multi-Core is designed to improve performance of certain software products. Not all customers or software applications will necessarily benefit from use of this technology. 64-bit computing system required. Performance and clock frequency will vary depending on application workload and your hardware and software configurations. Intel's numbering is not a measurement of higher performance. (2) Altering clock frequency and/or voltage may: (i) reduce system stability and useful life of the system, processor, and other system components; (ii) cause the processor and other system components to fail; (iii) cause reductions in system performance; (iv) cause additional heat or other damage; and (v) affect system data integrity. HP and Intel have not tested, and does not warranty, the operation of the processor beyond its specifications. HP and Intel have not tested, and do not warranty, the operation of other system components beyond their industry standard specifications. HP and Intel assume no responsibility that the processor and other system components, including if used with altered clock frequencies and/or voltages, will be fit for any particular purpose. (3) Weight will vary by configuration. (4) 4K content required to view full 4K images. (5) Windows 10/ MM14 battery life will vary depending on various factors including product model, configuration, loaded applications, features, use, wireless functionality, and power management settings. The maximum capacity of the battery will naturally decrease with time and usage. See www.bapco.com for additional details. (6) Estimated U.S. street prices. Actual prices may vary.